"Water warrior and their weapons"
The long Songkran holidays this year are finally over and it's back to work. 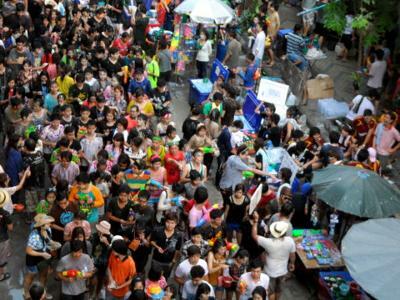 Songkran is a happy time in Thailand. It's celebrated from 13 - 15 April every year. 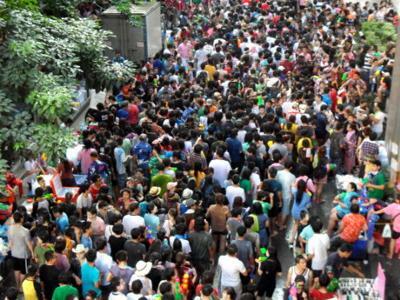 The festival is often referred to as the Thai New Year. 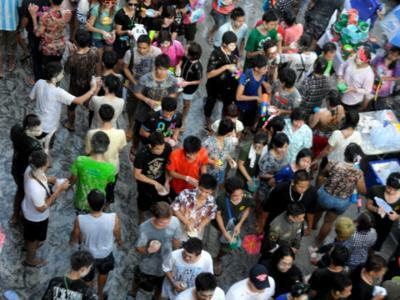 However, Cambodians and Laotians celebrate Songkran too. The festival actually arises from astrology. 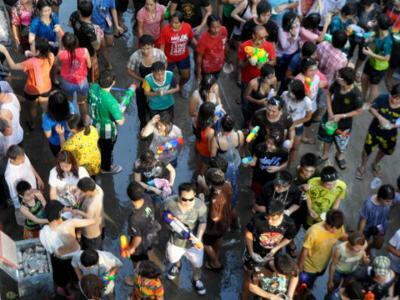 Songkran is the period when the Sun enters the constellation Aries. The word "Songkran" is Sanskrit in origin. On 15 April 2011 I caught these scenes as I got off the Sala Daeng skytrain station in Silom Road, a section of which was closed for the Songkran festivities.